Carbohydrates have come up a lot in health discussions recently. However, most people know little or nothing about them. Let’s have our own discussion. More specifically, what are good carbs and bad carbs? Simply speaking, carbohydrates are the body’s main source of energy. Without sufficient consumption of carbohydrates, you run the risk of getting all kinds of nasty things like muscle cramps, fatigue, poor mental function, and decreased resistance to disease. However, it is incredibly important to understand the different types of carbohydrates you put into your body. For the sake of this discussion, let’s focus on the two main types. Simple carbohydrates or “simple sugars” are what’s commonly referred to as the “bad” carbohydrate. They are the reason for the sweet taste in our food. Why they are bad: Instant energy is only beneficial if you use it right away. But in reality, most people will not burn all of the carbs consumed. The excess then goes to fat. Complex Carbohydrates, or what people call “Good” carbs, are actually the combination of many types of sugars. The more complex the molecular compound, the longer it takes to break down through digestion. Why they are good: The slow-burning characteristic that are found in complex carbs provide a steady supply of energy to the body. Most lower activity levels work best with complex carbs due to the “take-as-you-go” energy system. Remember: The best carbohydrate to eat is entirely based on your body’s needs. When I think about carbs, I always think of this concept: A campfire. Imagine lighting a fire with gasoline. Sure, you will have a large, bright flame, but it will be short-lived. The same goes for simple carbs. You will burn them very quickly and feel an intense rush of energy, but only for a short time. Now, imagine the same campfire. Only now, your fire is lit by large logs. The fire is not as bright, but it burns consistently for hours. There logs are like complex carbs. A moderate amount of energy over a long period of time. When choosing what carbohydrates to consume, remember that your consumption should fit your activity level. For most people, complex carbs are favored for their slow release of energy. This is also the reason why they are referred to as “good” carbs. I think it’s time that we have a serious conversation. You see, there is a problem that is growing in the United States by epic proportions. To put it bluntly, this problem is killing us and our children. According to the Center for Disease Control (CDC), Obesity is linked to 300,000 American deaths every year. 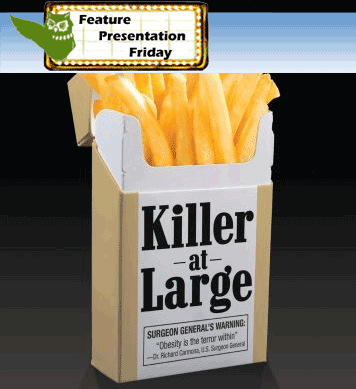 That means in the time it will take you to watch this documentary, 60 Americans will die from obesity. And in some states, the numbers are even more shocking. To make matters worse, obesity isn’t an easy problem to fix. In fact, obesity is a complex issue with a multitude of contributing factors including things like stress, diet, portion sizes, activity levels, fast food, government subsidies, food industry lobbyists, etc, etc. The list goes on. The best solution for us is to educate ourselves. When we, as consumers, know the truth behind the causes of obesity, we can then make decisions that are in our best interests and the interests of our children. Solution as easy as Diet and Exercise? How important is the local farmer’s market? Is Childhood marketing to blame? Is this a problem of Personal Responsibility? Not sure if that cheese is still good? Will I get sick if I eat that chicken that has been in the refrigerator for 3 days? You can finally rest assured that StillTasty, a new shelf-life database, will give you the information you need to make the judgement call. 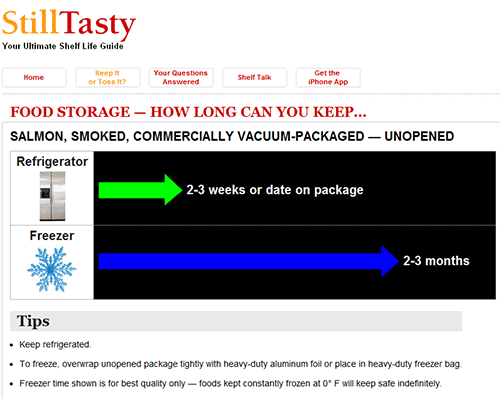 It is very simple to use, just type in the food in the search field or browse the different food categories, and StillTasty will give you the shelf-life for both frozen and refrigerated food. There is even an iPhone/iPod Touch app for shelf-life checking on the go! Never again will you think twice about if the meat is still safe to eat! Check it out! Wise & Fit © 2019 All Rights Reserved. As with all health related information, consult your doctor before putting anything into practice.